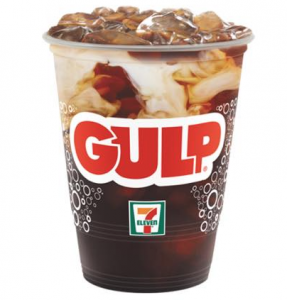 7-Eleven is currently offering up a FREE Gulp Size Fresh Brewed Iced Coffee to their mobile app users! Just download the app and create an account to view the special offer. Note that this may not be offered to everyone. Check out their website for more information. This is valid through August 31st. 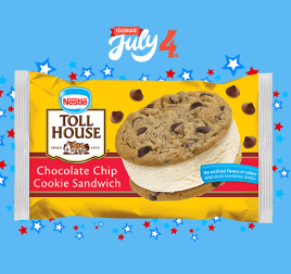 7-Eleven is currently offering up a FREE Nestle Toll House Ice Cream Sandwich to their mobile app users! Just download the app and create an account to view the special offer. Note that this may not be offered to everyone. Check out their website for more information. This is valid through July 4th. 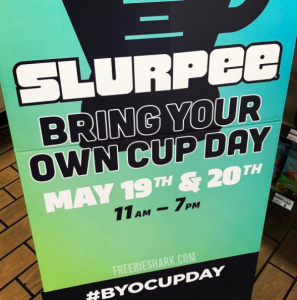 Valid on May 19th and 20th from 11AM to 7PM, head to 7-Eleven to take advantage of Bring Your Own Cup Day! You’ll be able to bring your own cup and fill it up for $1.50! Your cup must fit through a 10″ hole. Live near a 7-Eleven convenience store? 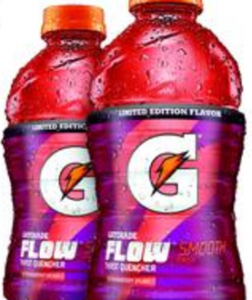 They are currently offering up a FREE Bottle of Gatorade Flow Strawberry Splash for their mobile app users! Just download the app and create an account to view the special offer. Note that this may not be offered to everyone. This is valid through May 7th. 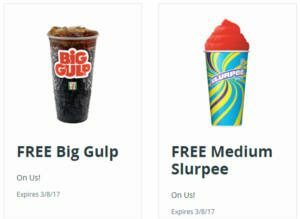 Enter your phone number to get a coupon for a FREE Big Gulp or Medium Slurpee at 7-Eleven stores. The coupon is valid March 4-8. Download the 7-Eleven app to get a coupon for FREE Coffee and Energy Shot at 7-Eleven every Wednesday this month. Coffee lovers, how about some FREE coffee!? 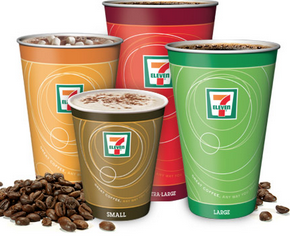 Starting October 3rd (through October 9th), you’ll be able to score a FREE Coffee (ANY size) everyday at 7-Eleven! You’ll need to use the 7-Eleven app. You’ll be able to score one each day, for a grand total of 7 free coffees. Awesome! If you live near a 7-Eleven convenience store, they will be offering FREE Slurpees on July 11th! You don’t need a coupon for this, just walk right in between the hours of 11AM-7PM on July 11th to get your FREE Small Slurpee! Do you live near a 7-Eleven? 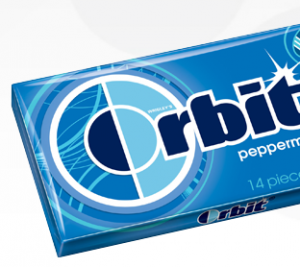 Check it out…they are currently offering up aFREE Pack of Orbit Gum for their mobile app users! Just download the app and create an account to view the special offer. This is valid through October 11th.